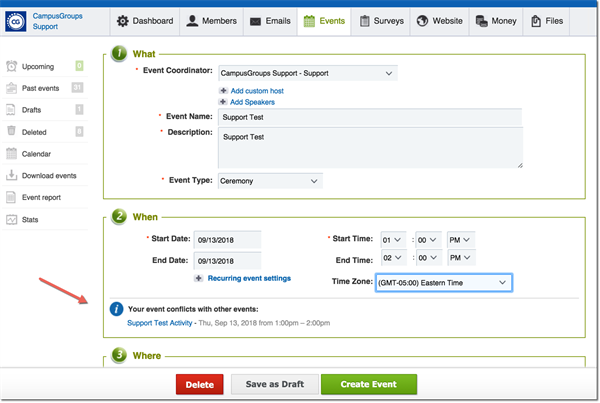 Click on the "Events" menu (in the manage toolbar) and click on "Create Event". 4. 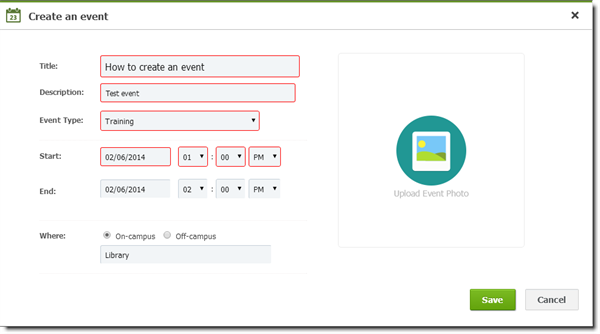 Enter the required information in the "Create an event" popup, and click on the "Save" button. Note: When creating an event, you’re able to view potential conflicting events. 5. Your event has been created. You can now edit your event, create a new one or close the popup.